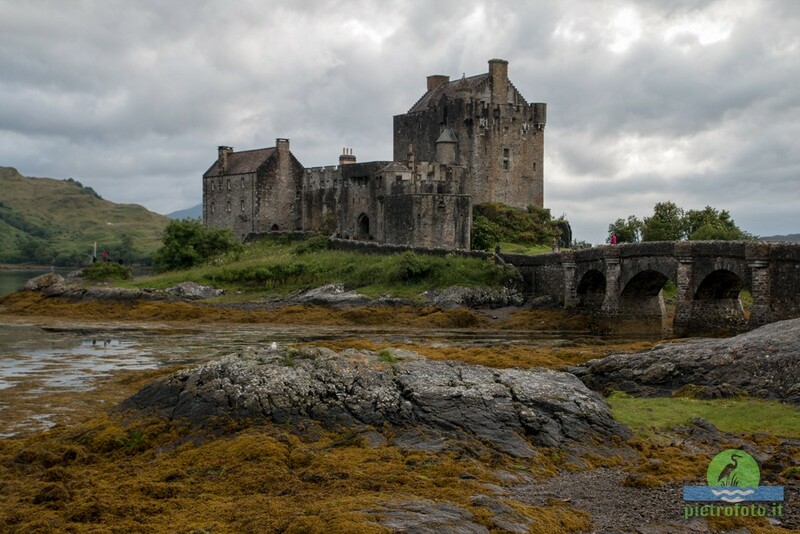 Eilean Donan is a small tidal island where three sea lochs meet, Loch Duich, Loch Long and Loch Alsh, in the western Highlands of Scotland. 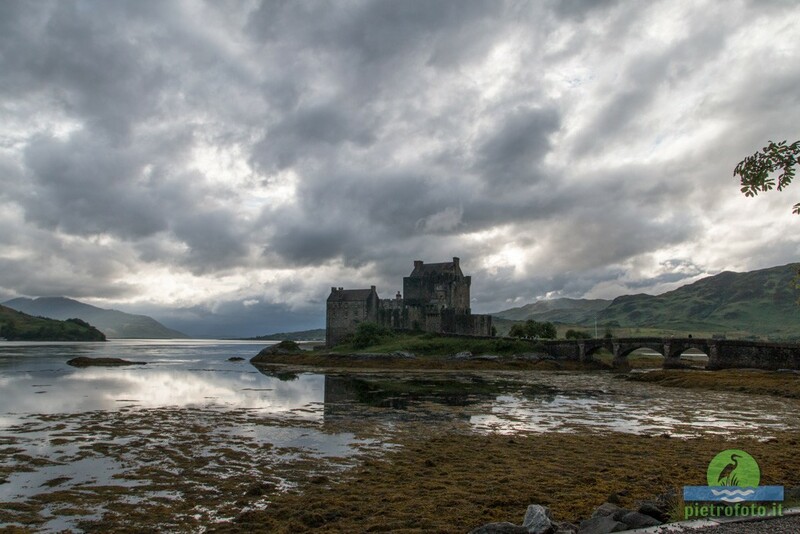 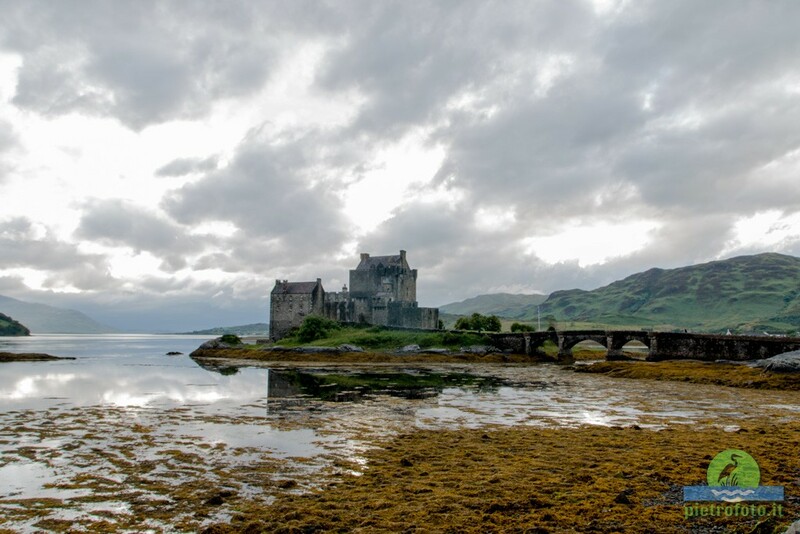 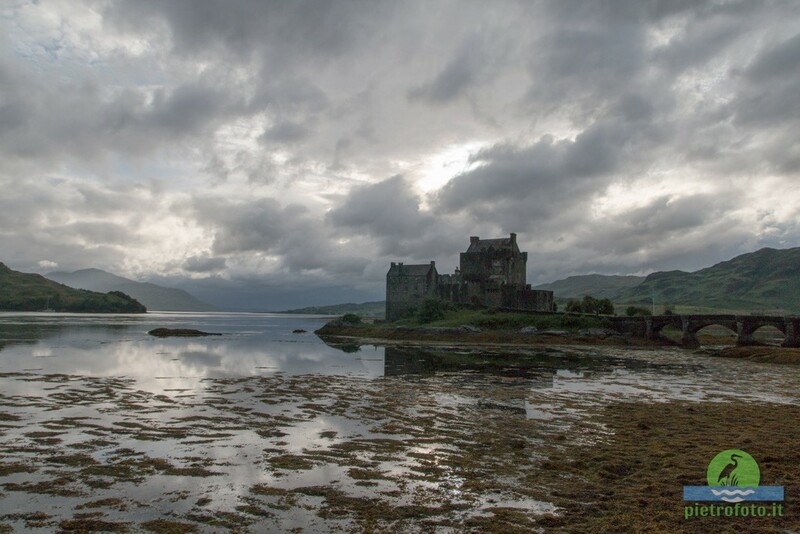 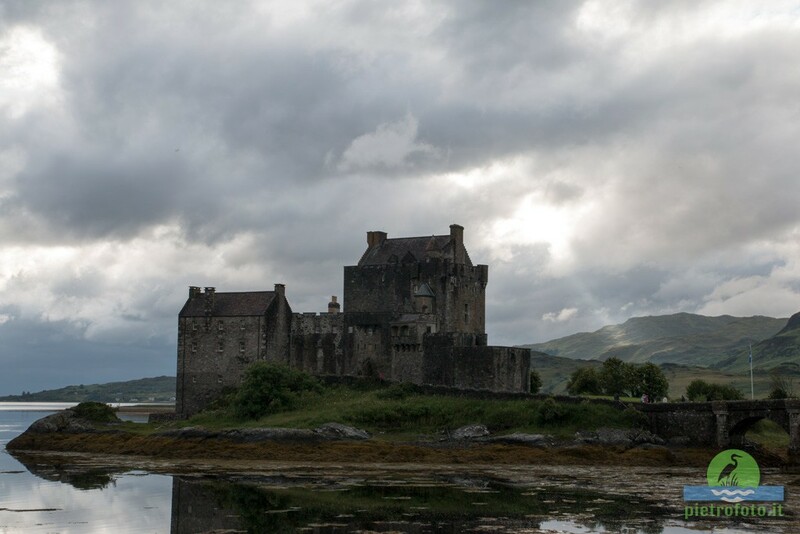 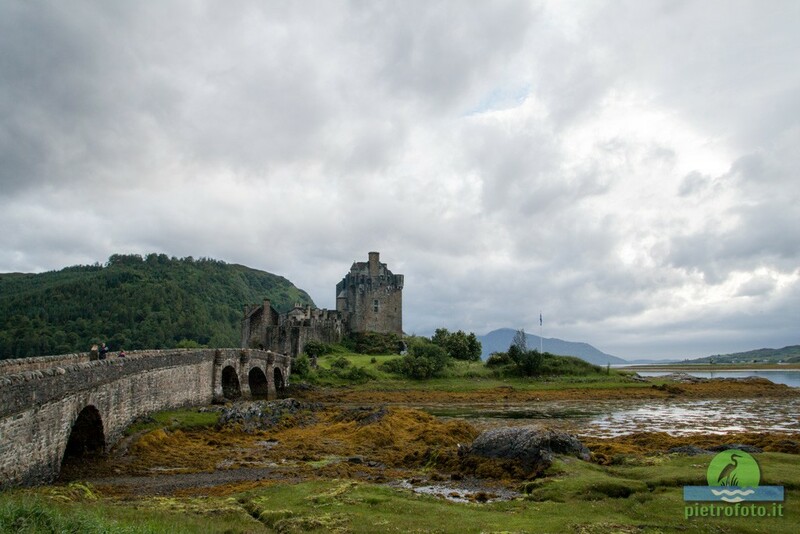 A picturesque castle that frequently appears in photographs, film and television dominates the island, which lies about 1 kilometre from the village of Dornie. 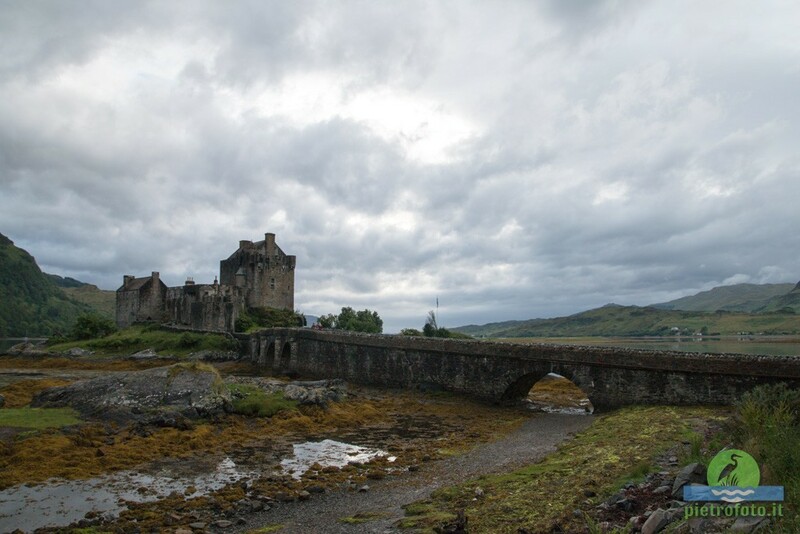 Since the castle’s restoration in the early 20th century, a footbridge has connected the island to the mainland. 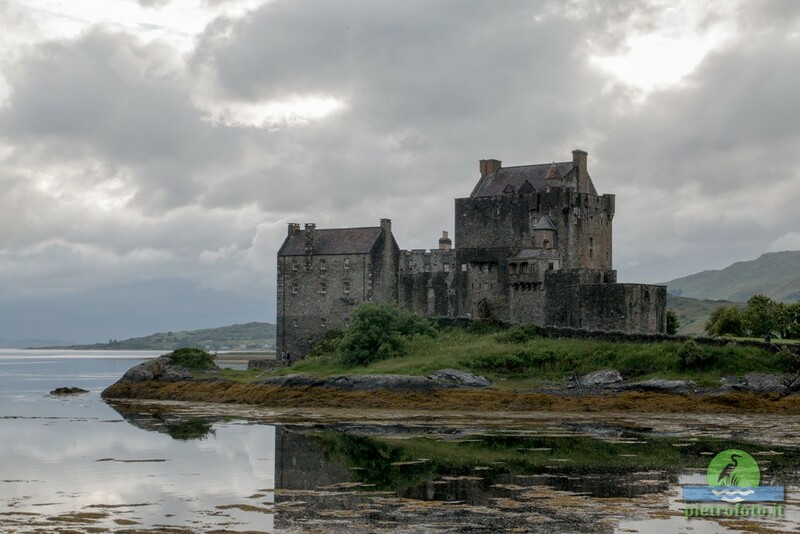 The castle was founded in the thirteenth century, and became a stronghold of the Clan Mackenzie and their allies the Clan Macrae. 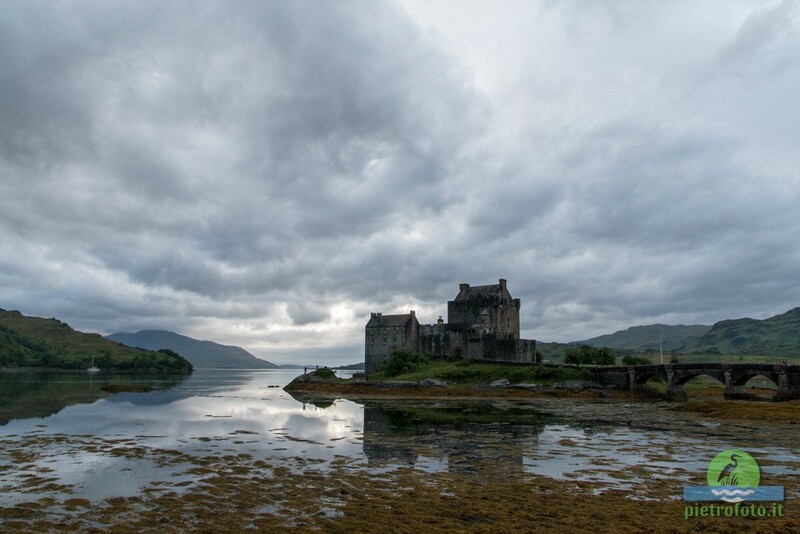 In the early eighteenth century, the Mackenzies’ involvement in the Jacobite rebellions led in 1719 to the castle’s destruction by government ships. 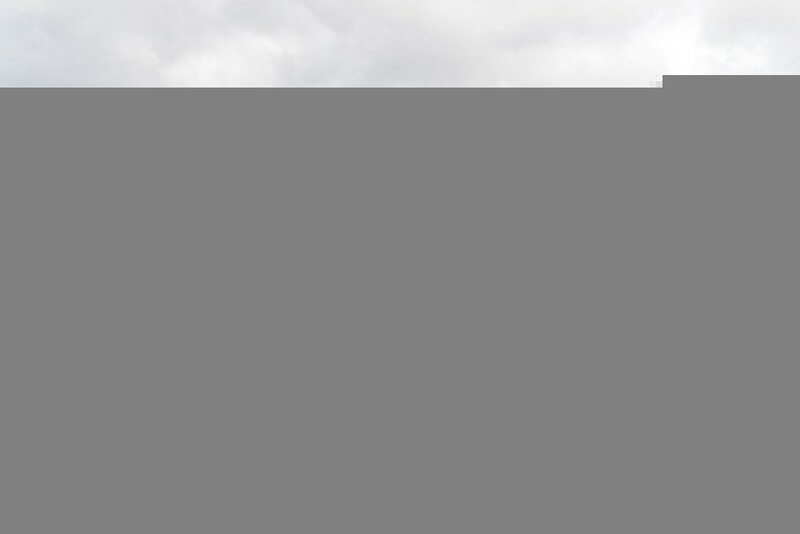 Lieutenant-Colonel John Macrae-Gilstrap’s twentieth-century reconstruction of the ruins produced the present buildings.